Ciguatera is a foodborne illness that is the result of consuming seafood that are contaminated with ciguatoxins. While harmless to the fish it has contaminated, ciguatera is poisonous to humans and can lead to all kinds of horrible ailments. The cause of ciguatera links back to small marine organisms (or plankton) called dinoflagellates that produce the ciguatoxin, which attaches itself to various algae found in reefs. This happens to be regularly consumed by the smaller herbivorous fish, helping to spread the toxin, who are in turn consumed by larger predatory fish. By accumulating in these different types of fish, ciguatoxin works its way up the marine food chain until they are found in the largest predatory fish that tend to weigh over 6lbs. So, when we consume one of these fish with ciguatera, the levels of the poison are concentrated to a degree that can lead to all manner of nasty, unwelcome symptoms! The symptoms for ciguatera can vary from case to case – of which there are 50,000-plus reported annually – are well documented. Ciguatera poisoning can be confounding and frequently goes unreported or misdiagnosed, as the symptoms can often mimic other ailments. The symptoms can range from the common to the extraordinary, and how long a person remains poisoned can also vary. However, most symptoms can be categorized as neurological, gastrointestinal, or cardiac – often it can be a combination of all of these! Needless to say, anyone dealing with ciguatera can expect a rough couple of days! Some symptoms of ciguatera poisoning can persist for weeks, months or even years. After eating a contaminated fish, symptoms can normally take between 1 to 3 hours to appear, although it could take much longer for some. The most typical symptoms that occur at this point include abdominal pains, diarrhea, nausea, and vomiting. Additionally, neurological issues can begin to surface around 3 hours to 3 days later. These can range from the mild such as tingling, itchy skin, and blurred vision, to more extreme symptoms like temperature reversals – that is to say, when you touch cold items they feel warm and vice versa. Thankfully most of these acute symptoms are usually only short-term (a few days mostly), although many long-term issues can arise from ciguatera including depression, headaches, low blood pressure, and chronic fatigue. Perhaps the most relieving aspect regarding ciguatera is the fact that it rarely leads to death – yet many may wish they were dead when suffering from these extreme symptoms! Unfortunately, there is currently no vaccine or preventative medicine available for ciguatera. That means anyone poisoned with the illness will pretty much have to suffer through the symptoms. As such, the only available treatments are supportive care for whatever symptoms an individual is affected by. For example, if the person is suffering from severe vomiting and diarrhea, maintaining hydration levels will be an important treatment. Likewise, treatments for those dealing with symptoms of neural pain include Amitriptyline and gabapentin, as these medicines work to combat some of these symptoms. Furthermore, activated charcoal is often recommended for gastrointestinal decontamination, as the treatment can help absorb some of the toxin levels, but it must be administered around 3 to 4 hours after consuming the fish. Regardless of severity, anyone suffering from ciguatera toxin poisoning should immediately seek medical attention. There is no way to tell if a fish is contaminated with ciguatoxin – it is completely odorless, tasteless, and it cannot be removed by any form of cooking. So, it’s important to know what fish can carry ciguatera and where in the world they can be found. For the most part, ciguatera poisoning is found in tropical and subtropical areas. As a result, tropical reel fishing could be viewed as the riskiest type of fishing when attempting to avoid ciguatera toxin. Anyone heading to the Caribbean Sea, Pacific Ocean or Indian Ocean should be mindful of this. As the source of ciguatoxin is concentrated in coral reefs, tropical and reef fish are the most susceptible species. However, large predator fish are also likely to be contaminated because they eat the smaller herbivorous fish that have been previously contaminated. 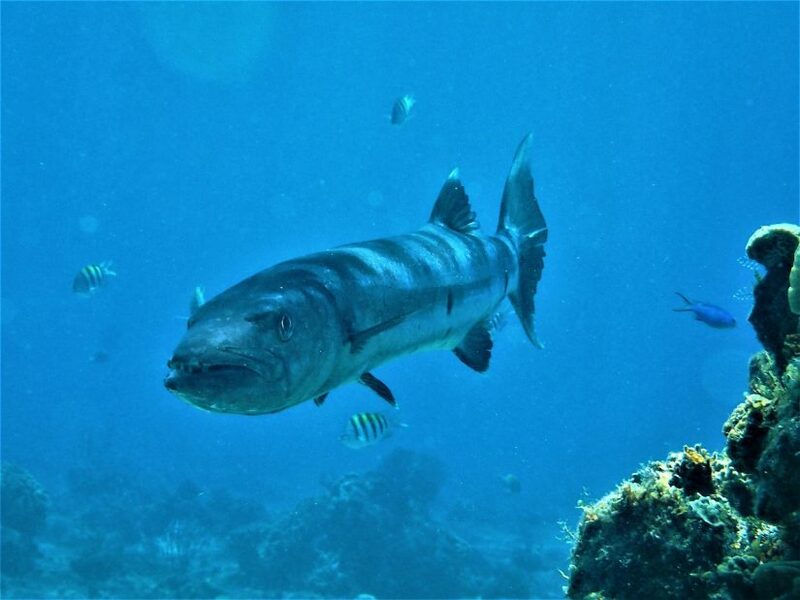 Perhaps the most notorious of the affected species is the Great Barracuda and Red Bass, with the latter of these being a highly-sought snapper that loves to consume reef fish – the very type of fish that are most likely carrying the toxin! Due to the fact that ciguatera is odorless, tasteless and cannot be removed through any form of food preparation, it can be near impossible to detect in fish. This is why the easiest way to prevent ciguatera is to simply avoid consuming reef fish, although this can be understandably viewed as somewhat drastic. A better idea is to know what to avoid in reef fish to help improve your chances of prevention. For instance, the bigger a reef fish is, the more chance it has of carrying elevated levels of ciguatoxins. The main reason for this is that ciguatoxin increases its concentrates the further along the marine food chain it goes. A common rule of thumb is to completely avoid reef fish that are 6lb and over due to the simple fact that larger fish species are the most likely to be contaminated. Should an angler reel in such a specimen, they can simply throw it back in without issue. Additionally, the liver, head, intestines, and roe of small reef fish should never be eaten as this is where the highest concentrates of ciguatoxin are found. Anglers should also take into account where they caught the reef fish. Certain locations are believed to be more of a hotbed for ciguatera than others, particularly around the Caribbean. 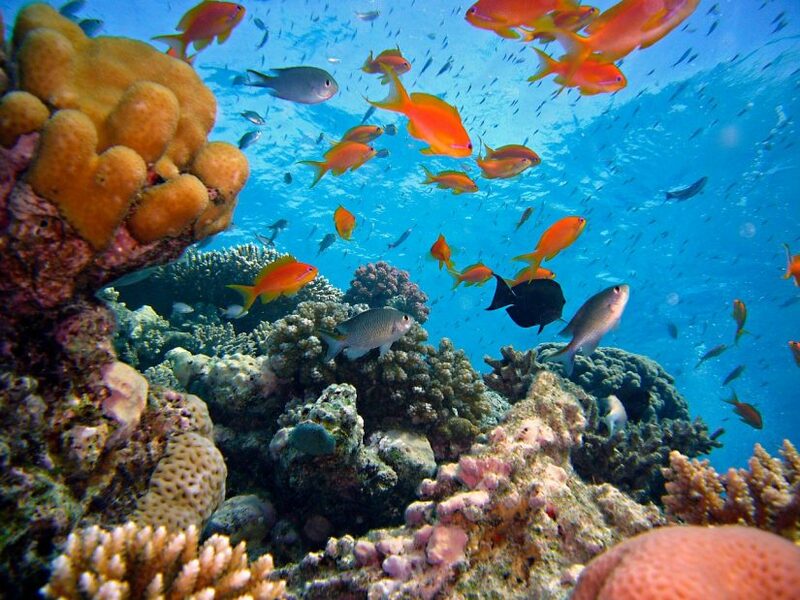 For example, the coral reef surrounding Cuba is regarded as one of the most prevalent areas. However, any reef area found in tropical and subtropical regions could be susceptible to an outbreak, so it can be difficult to pinpoint a particular location as high risk unless there is prior history in the area. As fish and other seafood continue to be an integral part of the human diet, sometimes we just have to roll the dice; but taking some of these preventative measures should help to reduce your chances of contracting ciguatera poisoning. WOW! This sounds very serious! Symptoms that could last for months or years!!! Are you kidding me? And the fact that this can’t be removed by any type of cooking is even scarier. It’s too bad there isn’t any sort of treatment for this thing. I never eat the liver, intestines or head of the fish and I also prefer smaller fish so I guess that’s a first step in the right direction. I wonder what people from Cuba do when/if they get this?